Cancer is the second leading cause of death in the United States, accounting for 20% of all deaths. In the year 2008, approximately 2.7 million new cases of cancer were diagnosed and 7.6 million deaths were reported due to cancer worldwide. Cancer is a large, heterogeneous class of diseases in which a group of cells display uncontrolled growth. The human body is made up of millions of cells and these cells are constantly refreshing themselves. The old cells die, by a process known as apoptosis (programmed cell death), and are replaced by new cells; this occurs in all multicellular organisms [Figure 1]. When the process of apoptosis is influenced by mutations there is deregulation of the growth of cells, and cancer may result. There are many etiological factors in the development of cancer. Among these, inappropriate diet, physical inactivity, and obesity have been implicated in approximately 30%-35% of cancer cases. Diets that contain little vegetables, fruits, and whole grains and relatively more of processed foods and red meat have been linked with a number of cancers. Oxidative stress induced by reactive oxygen species is one of the areas that has drawn a lot of interest recently in cancer research. Reactive oxygen species are highly reactive oxidant molecules generated endogenously through regular metabolic activity, lifestyle activities, and diet. , Antioxidants are protective agents. They inactivate the reactive oxygen species and thereby significantly delay or prevent oxidative damage. The antioxidant properties of carotenoids have been suggested as being mainly responsible for their beneficial effects. Recent studies also show that carotenoids may mediate their effect via other mechanisms such as gap functions communication, cell growth regulation, modulation of gene expression and immune response, and modulation of phase 1 and 2 drug metabolizing enzymes. ,, Apart from combating oxidative stress, dietary constituents like lycopene, tocopherol, and ascorbic acid also have other effects (e.g., the neuroprotective effect of γ-tocopherol in neurodegenerative disorders such as Parkinson disease) [Figure 3]. The aim of the review is to examine the role of dietary lycopene in the prevention of cancer. The consumption of fruits and vegetables rich in antioxidants has generated interest in the role of lycopene in disease prevention. However, the evidence thus far is mainly suggestive, and the underlying mechanisms are not yet clearly understood. Further research is critical to elucidate the role of lycopene and to formulate guidelines for healthy eating and disease prevention. Areas for further study include epidemiological investigations based on serum lycopene levels, bioavailability and effects of dietary factors, long-term dietary intervention studies, metabolism and isomerization of lycopene and their biological significance, interaction of lycopene with other carotenoids and antioxidants, and mechanism of disease prevention. Lycopene is an important chemical substance for moderation and modulation of cancerous growth. Its role in cancer prevention is well documented. Lycopene can be absorbed more efficiently by the body after it has been processed into juice, sauce, paste, or ketchup. In fresh fruit, lycopene is enclosed in the fruit tissue. Therefore, only a portion of the lycopene that is present in fresh fruit is absorbed. Processing fruit makes the lycopene more bioavailable by increasing the surface area available for digestion and thus aids better absorption. More significantly, the chemical form of lycopene is altered by the temperature changes involved in processing and it assumes a more absorbable form. Also, because lycopene is fat-soluble (as are vitamins A, D, and E and the provitamin beta-carotene), absorption is improved in the presence of the oil in the diet. Although lycopene is available in the market in supplement form, it is likely that natural sources like whole fruit are better as the other components of the fruit enhance the effectiveness of lycopene. Antioxidants play an important role in protecting cells and cellular components against oxidative damage. Additionally, study results highlight the importance of how a food is prepared and consumed in determining the bioavailability of dietary carotenoids such as lycopene. It can be concluded that tomato-based foods products are beneficial in cancer prevention. 1. Nutrition for the Cancer Patient. In Normal and therapeutic Nutrition. Robinson CH, Lawler MR, Chenoweth WL, Garwick AE, editors. 17th ed.Publisher Macmillan Pub Co Publication Date 1991. 496-497. 3. Green, Douglas. Means To An End. New York: Cold Spring Harbor Laboratory Press; 2011. ISBN 978-87969-888-1. Available from: http://celldeathbook.wordpress.com/. [Last accessed on 2011 Aug 25]. 4. Kushi LH, Byers T, Doyle C, Bandera EV, McCullough M, McTiernan A, et al. American Cancer Society Guidelines on Nutrition and physical activity for Cancer prevention: Reducing the risk of cancer with healthy food choices and physical activity. CA Cancer J Clin 2006;56:254-81. 5. Willams GM, Williams CL, Weisburger JH. Diet and Cancer prevention: The fiber first diet. Toxicol Sci 1999;52(Suppl):72-86. 6. Pincemail J. 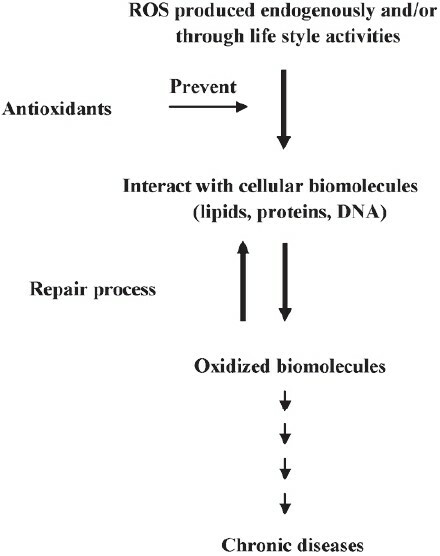 Free radicals and antioxidants in human diseases. In: Favier AE, Cadet J, Kalyanaraman B, Fontecave M, Pierre JL, editors. Analysis of free radicals in biological system. Basal: Birkhauser Verlag; 1995. p. 83-98. 7. Mangels AR, Holden JM, Beecher GR, Forman MR, Lanza E. Carotenoid contents of fruits and vegetables: An evaluation of analytical data. J Am Diet Assoc 1993;93:284-96. 8. Jhonson EJ. The role of Carotenoids in human health. Nutr Clin Case 2002;5:47-9. 9. Agarwal S, Rao AV. Carotenoids and chronic diseases. Drug Metab Drug Interact 2000;17:189-210. 10. Paivas, Russell R. Beta Carotenoid other carotenoids as antioxidants. J Am Coll Nutr 1999;18:426-33. 11. Astrog P, Gradelet S, Berges R, Suschet M. Dietary lycopene decreases initiation of liver preneoplastic foci by diethylnotrosamine in rat. Nutr Cancer 1997;29:60-8. 12. Gerster H. The potential role of lycopene for human health. JM Coll Nutr 1997;16;109-26. 13. Astrog P. Food carotenoids and cancer prevention: An Overview of current research. Trends Food Sci Technol 1997;8:406-13. 14. Jwell CO, Brien NM. Effect of dietary Supplementation with carotenoids on xenobiotic metabolizing.enzymes in the liver, lung, Kidney and small intestine of the rat. Br J Nutr 1999;81:235-42. 15. Bertram JS. Carotenoids and gene regulation. Nutr Rev 1999;57:182-91. 16. Karunanithi K, Annadurai A, Mohankumar, Krishnamoorthy, Elumalai P, Manivasagam Y. 1- methyle 4 - phenyle 1,2,3,6 - tetrahydropyridine is a potent neurotoxin: Gamma- tocopherol recuperate behavior, dopamine, and oxidative stress on Parkinsonic mice. Int J Nutr Pharmcol Neruol Dis 1July 2011 1:89-208. 17. Knachik F, Carvallo L, Bernstein PS, Muir GJ, Zhao DY, Katz NB. Chemistry,distribution and metabolism of tomato Carotenoids and their impact on human health. Exp Biol Med 2002;227:845-51. 18. Rao AV, Mira MR, Rao LG. Lycopene Adv Food Nutr Res 2006;51; 99-164. 19. Stahl W, Schwarz W, Sundquist AR, Sies H. Cis-trans.Isomer of Lycopene and Beta-carotene in human serum and tissues. 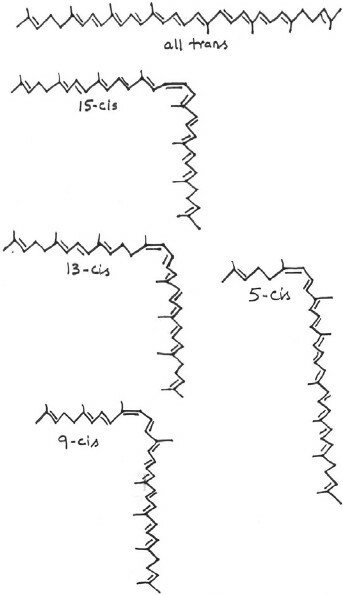 Arch Biochem Biophys 1992;294:173-7. 20. Clinton SK, Lycopene: Chemistry, biology and implications for human health and diseases. Nutr Rev 1998;1:35-51. 21. Agarwal A, Shen H, Agarwal S, Rao A. Lycopene content of tomato products,its staibility,bioavalibilty,and in vivo antioxidant properties. J Med Food 2001;49-15. 22. Rao AV, Fleshner N, Agarwal S. Serum and tissue Lycopene and biomarkers of oxidation in prostate cancer patients: A case controls study. Nutr Cancer 1999;33:159-64. 23. Heber D. Lu QY. Overview of mechanisms of action of lycopene Exp Biol Med(Maywood) 2002;227:920-3. 24. Heber D. Mechanisms of action of lycopene. In: Rao AV, editor. Tomatoes, Lycopene and human health. Scotland: Caledon Science Pres; 2006. p. 65-76. 25. Wertz K, Siler U, Goralezy KR. Lycopene: Methods of action to promote prostate health. Arch Biochem Biophys 2004;430:127-34. 26. Agarwal S, Rao AV. Tomato.lycopene and its role in human health and chronic. Can Med Assoc J 2000;163;739-44. 27. Halliwell B. Free radicals, antioxidants and human diseases curiosity, cause or consequence. Lancet 1994;344:721-4. 28. Canada's food guide to healthy eating. Ottawa: Health Canada: 1992 cat no H39-253/1992E. Available from: http://www.hc.Sc.qc.ca/hppb/nutrition/pube/foodguide/Foodguidehtml [Last accessed on 2000 Aug 03]. 29. Fielding JM, Rowley KG, Cooper P, O' Dea K. Increases in plasma lycopene concentration after consumption of tomatoes cooked with Olive oil. Asia Pac J Clin Nutr 2005;14:131-6. 30. Mohammad Asif. Process advantages and product benefits of interestifications in oils and fats. Int J Nutr Pharmacol Neurol Dis July 2011;1:110-5. 31. Amaresh N, Mallaicharam AR, EI-Khider MA. Chemistry and pharmacology of caffeine in different types of tea leaves. Int J Nutr Pharmacol Neurol Dis 1 July 2011;1:134. 32. Gali-Muhtasib H, Bakkar N. Modulating cell cycle: Current applications and prospects for future drug development. Curr Cancer Drug Targets 2002;2:309-36. 33. Obermuller-Jevic UC, Olano-Martin E, Corbacho AM, Eiserich JP, van der Vliet A, Valacchi G, et al. Lycopene inhibits the growth of normal human prostate epithelial cells in vitro. J Nutr 2003;133:3356-60. 34. Levy J, Bosin E, Feldmen B, Giat Y, Miinster A, Danilenko M, et al. Lycopene is a more potent inhibitor of human cancer cell proliferation than either á-carotene or â-carotene. Nutr Cancer 1995;24:257-66. 35. Nagasawa H, Mitamura T, Sakamoto S, Yamamoto K. Effects of lycopene on spontaneous mammary tumour development in SHN virgin mice. Anticancer Res 1995;15:1173-8. 36. Kobayashi T, Iijima K, Mitamura T, Toriizuka K, Cyong JC, Nagasawa H. Effects of lycopene, a carotenoid, on intrathymic T cell differentiation and peripheral CD4/CD8 ratio in a high mammary tumor strain of SHN retired mice. Anticancer Drugs 1996;7:195-8. 37. Agarwal S, Rao AV. Tomato lycopene and low density lipoprotein oxidation: A human dietary intervention study. Lipids 1998;33:981-4. 38. Rao AV, Agarwal S. Bioavailability and in vivo antioxidant properties of lycopene from tomato products and their possible role in the prevention of cancer. Nutr Cancer 1998;31:199-203. 39. Pool-Zobel BL, Bub A, Muller H, Wollowski I, Rechkemmer G. Consumption of vegetables reduces genetic damage in humans: First result of a human intervention trial with carotenoid-rich foods. Carcinogenesis 1997;18:1847-50. 40. Matsushima NR, Shidoji Y, Nishiwaki S, Yamada T, Moriwaki H, Muto Y. Suppression by carotenoids of microcystin-induced morphological changes in mouse hepatocytes. Lipids 1995;30:1029-34.